Frigidaire iQ Drive® 97% AFUE Modulating Gas Furnace Modulating:Limited Lifetime Heat Exchanger Warranty: When you register your new Frigidaire furnace or gas/electric packaged system, we will also extend the heat exchanger warranty from 20 years to the limited lifetime heat exchanger warranty .10-Year on Air Handlers & Coils: When you install and register your new Frigidaire air handler or coil with your new Frigidaire system, we will also extend the accessory warranty to the 10-Year Limited Parts Warranty.10-Year on Indoor Air Quality Products & Zoning Products: When you install and register any of our Frigidaire Indoor Air Quality or Zoning with your new Frigidaire system, we will also extend the warranty to the 10-Year Limited Parts Warranty.Commercial Applications: Equipment utilized in commercial applications carries a 1-year parts warranty, 5-year compressor warranty and a 10-year heat exchanger warranty.Extended Warranty Protection: While Frigidaire warranty covers parts, the cost of labor charged by your dealer for service and repair is not. However, extended labor protection plans are available to cover labor costs associated with repairs. Your dealer may offer various coverage plans; we recommend you look for the Contractors’ Preferred Protection Plan brand approved for Frigidaire. The iQ Drive furnace customizes its operation based on your home’s needs. The furnace analyzes the indoor temperature every 60 seconds and adjusts its percentage of firing accordingly – from between 100% to 50% with the gas valve and down to 15% with time proportioning through the thermostat.Ultra Quiet: The quiet motor is encased in an insulated cabinet for ultimate sound reduction. The motor ramps up to speed, minimizing the abrupt change in sound found when a standard, single-stage furnace motor cycles on and off.iQ Drive Temperature Control: The best way to know the ins and outs of your iQ Drive system's performance is with the iQ Drive controller. With this controller you have a fully programmable comfort schedule as well as access to maintenance reminders and troubleshooting diagnostics.Save on Heating: This gas furnace is ultra efficient - surpassing ENERGY STAR's guidelines for efficient equipment in certain sizes and matches .iSEER: This furnace features iSEER technology, which can boost the cooling efficiency of a 13- or 14-SEER outdoor unit by up to 1-SEER point. iQ Drive Ready: This furnace can be paired with an iQ Drive air conditioner or heat pump for ultimate efficiency and comfort.Green HVAC: Looking for more than just efficiency out of your HVAC system? Choose an eco Logic qualified system like this one and expect efficiency and premium comfort.Maintain High Standards: Factory checked 234 times before being shipped.The iQ Drive fully modulating gas furnace continuously adjusts its heat output to exactly match the needs of your home. You’ll notice a more uniform mix of air throughout your home, with virtually no hot or cold spots, and improved air filtration.Frigidaire FG7TC FG7TL 95.1% AFUE Two-Stage Variable-Speed Gas FurnaceTwo Heating Stages and a Variable-Speed Motor: When your single furnace acts like two furnaces in one, you can expect premium performance. This system maintains consistent temperatures, improves air filtration and reduces sound levels.Max Heat Pump and Air Conditioner Efficiency: Because of its energy-efficient motor, this gas furnace can help your air conditioner or heat pump achieve the maximum efficiency levels for its model.Ultimate Sound Reduction: In order to reduce sound levels, this furnace model includes an insulated blower compartment.Ready to Pair with Your iQ Drive® System: If you are looking for ultimate efficiency and premium home comfort, pair this furnace with one of our iQ Drive heat pumps or air conditioners.Efficient Performance Rating: This gas furnace meets ENERGY STAR's requirements to be designated a high-efficiency heating system (in certain sizes and matches).Increased Home Comfort: This furnace provides comfort from start-up. Instead of having cold air rush you when you turn on your furnace, this model contains a 30-second blower delay to ensure a warm duct temperature.Performance That Lasts: This furnace includes SmartLite® technology to extend ignitor life by analyzing the start-up characteristics of your particular furnace.Leader in Quality: In order to maintain high-quality standards, this furnace is checked 234 times before leaving the factory. Reducing sound levels, providing consistent temperatures and improving indoor air quality are all perks of choosing a furnace, like this one, that includes a variable-speed motor. 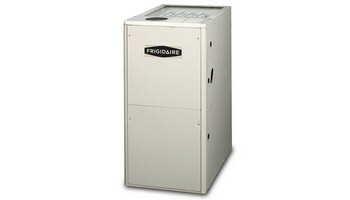 Additionally, this unit provides 95.1% AFUE heating efficiency and two stages of operation.